Peko Peko has been around for decades and developed quite a cult following – and it is easy to understand why. Serving flavour-laden Japanese and Western influenced Taiwanese food, the eatery is a real crowd pleaser. To start, our top picks include the Seafood wanton ravioli topped with crispy soft shell crab boasting ethereally light batter and the cheekily named Bang Bang calamari which is a real flavour bomb. For mains do not go past the stunning Garlic Pepper Crispy Beef which holds up to its name and is perfect with fluffy jasmine rice and a side of their famous sesame broccoli salad. 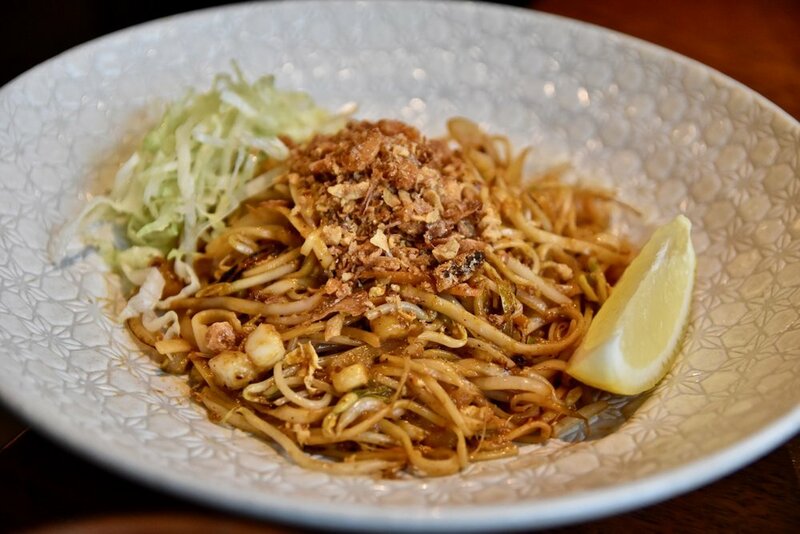 If you love your noodles, the Chilli Prawn fried noodles will have you satisfied. Dessert time continues to excite at Peko Peko. Whatever you do, do not leave without trying the Custard pancake. Featuring a cake-like exterior and a soft oozy centre, this beauty is topped with matcha ice-cream and is simply lovely.